It’s time for another new books roundup! Alexander Smith McCall (you may already love him from the No. 1 Ladies’ Detective Agency) has written a book about homeschoolers! 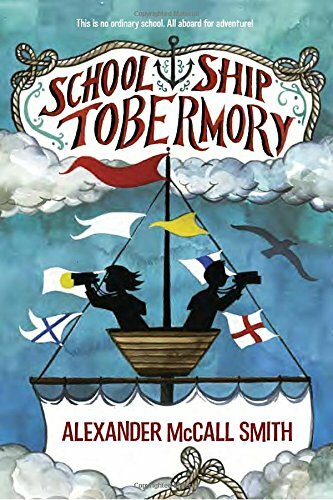 In School Ship Tobermory, homeschooled twins Fee and Ben (they live in a submarine) sign on board a sailing school, where they study with children from all over the world while learning to navigate the ocean and find themselves in the middle of a mystery involving a movie crew on a neighboring ship. Prosper Redding is the only ordinary person in his family of extraordinary people, so it seems pretty unfair that he’s the one who gets bitten by the family curse. Turns out, Prosper’s great-great-great-and-more-great-grandfather made a deal with a demon—and broke it. Oops. The 4,000-year-old demon has been biding its time waiting for its revenge, and now it’s decided Prosper seems like a good ghost. 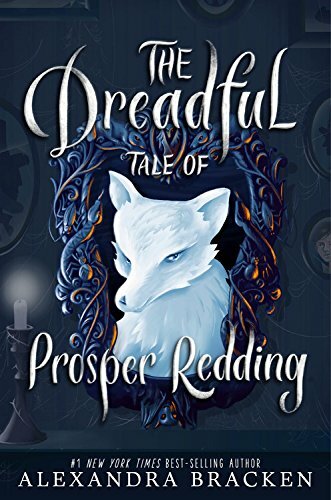 In The Dreadful Tale of Prosper Redding, Prosper goes from totally ordinary tween to a kid on the run, hiding out in a strange town and sharing his body with a not-so-friendly demon who is just waiting for Halloween to start wreaking vengeance. 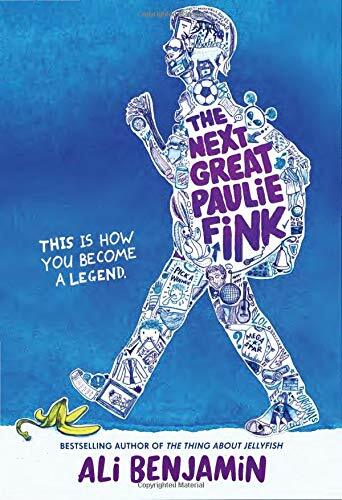 This is a spooky, frequently hilarious middle grades thriller with two likable protagonists in Prosper and his recently discovered cousin Nell. Alastor, the demon on a mission of revenge, is surprisingly funny as he attempts to adapt to life in the 21st century, and there’s a half-bat, half-cat creature named Toad that is kind of irresistible. Alastor and Prosper both discover things they never suspected about their families and end up liking each other—with healthy suspicion on both sides—more than either expected. The book has a (predictable) pair of twists near the end, and it finishes on a cliffhanger without resolving most of its plot points, which I find extremely annoying. Still, I think it’s one of the Halloween-iest books I’ve read in a long time, and I can see middle grade readers who like spooky-funny books really enjoying this one. 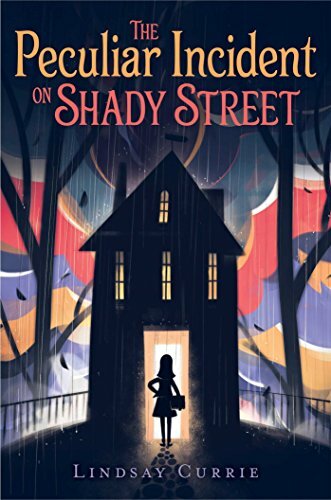 In another spooky story, Tessa discovers her new house is haunted in The Peculiar Incident on Shady Street. Her family’s spontaneous move from the Florida suburbs to downtown Chicago is a big enough adjustment, but mysterious drawings and crying toys are too much for a new kid in school to handle. Tessa’s ghost hunt catches the attention of some of the kids in her new neighborhood, and she’s soon part of a ghost-hunting squad that helps her learn to appreciate her new neighborhood and make some much-needed new friends in addition to helping her lay her haunted house’s ghost to rest. This is a real ghost story—the house really is haunted by a restless spirit, and Tessa has to solve the mystery of who the ghost is to help lay the spirit to rest. Lindsey Currie does a great job capturing the lonely frustration of leaving all your friends and having to start over in a new place, and Tessa and her new friends are believable middle schoolers—the book is as much about how to be a friend as it is about the mystery of the Shady Street ghost. There are some creepy haunted house scenes that are just spine-tingling enough without being too scary, and the haunting has a satisfying resolution. I’d pass this one on to kids who love read-it-by-flashlight spooky stories. 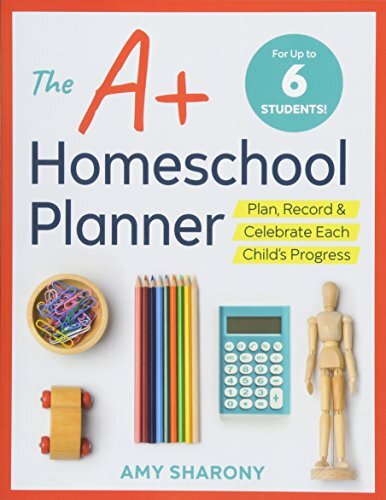 Homeschool Gift Guide: Everybody Needs Books!